Donald Trump just launched his most scathing attack on a fellow candidate. This time, the low blow went to his rival Dr. Ben Carson. For 10 minutes, Trump insisted that Carson is pathological, by his own admission. Carson’s admission: he once had a pathological anger problem – before he was saved. He went on to compare Carson to a child molester. And he called Carson’s supporters “stupid” for believing his testimony. What Donald Trump doesn’t understand is the gospel. From a secular viewpoint, the gospel doesn’t make sense. It’s not credible, not believable. “For the word of the cross is folly to those who are perishing, but to us who are being saved it is the power of God” (1 Corinthians 1:18). 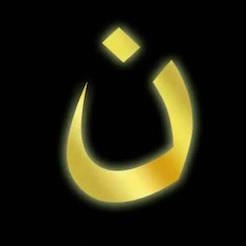 Every Christian was once a sinner in need of a Savior. All are enslaved to sin and unable to change or free themselves from this condition. Everyone is, so to speak, pathologically and incurably evil. But Jesus Christ comes in to sinners’ lives and “breaks every chain” (Isaiah 58:6). The power of God in Jesus Christ makes possible what was impossible. That is what salvation means. So the Christian voters in Iowa aren’t stupid. They simply understand higher spiritual realities than Trump can understand – namely, salvation – because they’ve experienced it. Everyone who has been saved has experienced the power of Christ in their lives, breaking the chains of sin and raising them up to new life in Christ. A life no longer enslaved to sin but enslaved to righteousness (Romans 6:17-18). Carson’s story is a beautiful testimony to the salvation of Jesus Christ. Like all of us, Carson was enslaved to sin. And he recognized it in his anger. Every sinner has to recognize their sin and their own incapacity to save themselves before they will repent and call on Jesus. That’s what Carson did. And Jesus Christ saved him from his anger and sin and transformed his life. No, Trump, Christians are not stupid for believing Carson’s testimony. Because it is the same story that all of us have. Pray for Trump. Pray that he can trust in the redeeming and transforming power of Christ. 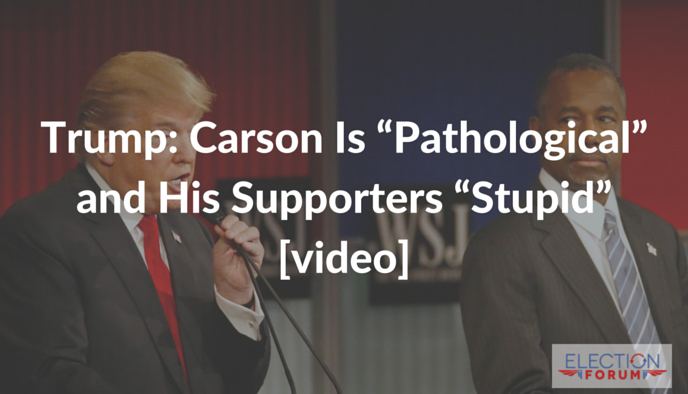 Again, here is the video clip: Trump attacks Carson. Your comments on salvation are right on. Trump has announced himself as a “Presbyterian”, and that may be true…but that’s not the same as being a Christian. Your appeal that we pray for him is also right on. As I watch Mr. Trump, he has strong conservative ideas, many of which I am in total agreement, but if I had to bet a week’s pay about his real relationship with the Savior, I would bet that he lacks one. I have watched all of the debates. Trump is ahead for the same reason that Obama zoomed ahead in 2008, he checks the polls and says what he thinks people want to hear. Several years ago he was somewhat liberal, today he is a ‘conservative Presbyterian.’ I suspect he is a chameleon in the cast of Schwarzenegger; When the going gets tough, he will flip. As seen in the debates he is also a thin-skinned, back-alley fighter. His latest attack on the front-runner is an example. Trump does spout some good ideas, but would he have the integrity to stand by them? If a conservative does become president and attempts corrective measures: to stem the financial bleed-out, the energy quagmire, the bureaucratic corruption and the rule-of-law slippage; that person will face a blast of fire. They will be held to account for everything that will follow and the media vitriol will reach new elevations. I would rather see Carson, Cruz, or perhaps Rubio, Fiorina as President; but when it comes to integrity, my pick is Carson. So far my prayers have been that people will really hear and understand what Mr. Trump is saying. His comments are borderline racist and mysogenistic. He seems to care more about his popularity as expressed in the polls than anything else. It says a lot about his character that he is so eager to demean anyone who doesn’t curry his favor. I can’t imagine him working with a congress or foreign leaders. He can’t fire them. He proudly proclaims that he attends church every Christmas Eve and Easter. Yes, he needs prayer and the American people need prayer to, for wisdom and discernment. By the way, I’m supporting John Kasich. I think a Kasich/Rubio ticket would be great. Trump is wrong for making these attacks against Ben Carson. I believe that these attacks will hurt him more than the attacks by Kasaich & Jeb Bush. I think Donald Trump has made many important points about what America needs to do and the problems within that need correcting, but his bullying is very unbecoming. Trump’s most recent attacks on Ben Carson’s past and his persona are “below the belt,” appalling and uncalled for! It does not appear that Donald has a saving knowledge of Jesus Christ as his Savior either, but only an intellectual form of belief. In contrast, Dr Carson is a full-on practicing Christian. Although I differ with Carson, for example, on the subject of mandatory vaccination, I am in agreement with much of what he has to say and although he is not a politician, he would get so much more good done in America, simply because he would seek God for solutions.